The Organization Resource Group (ORG) a part of the Office for Student Engagement and is the central campus resource for student organizations. From starting a new group to managing a well established one, we’re here to help students who want to get involved! The Organization Resource Group (ORG) is a viewpoint-neutral group of students dedicated to ushering student organizations through the recognition process, educating student leaders about University policies and resources, consulting with organizations on how to meet their goals, and providing financial assistance though the Student Activity Fee for student organizations. If you would like to make an appointment with any of our staff members, please contact us! We are more than happy to explain policies, processes or field general questions in a one-on-one setting. The ORG Chair is responsible for creating the Student Activity Fee budget designated for student organizations. They serve by training organization officers, representing the interests of student organizations to University administrators, and managing the Travel and General Expense budget processes. The Vice Chair of Finance is the primary point of contact between ORG and the Student Organization Allocation Committee. They also manage the Event Services process for Recognized Student Organizations. The Vice Chair of Administration meets with students who are interested in starting a new organization and assists in the recognition process. They are the primary point of contact between ORG and the Committee on Student Organizations, Governments, and Activities. The Advisor Relations Coordinator works to research, implement, and assess a variety of programs for engaging and training organization advisors. They are also in charge of the advisor newsletter. The Communications Coordinator oversees emails and office communications, publishes OrgSync updates, and manages ORG’s website and Twitter. The Office Manager manages all ORG office and storage spaces as well as mailboxes for Recognized Student Organizations. 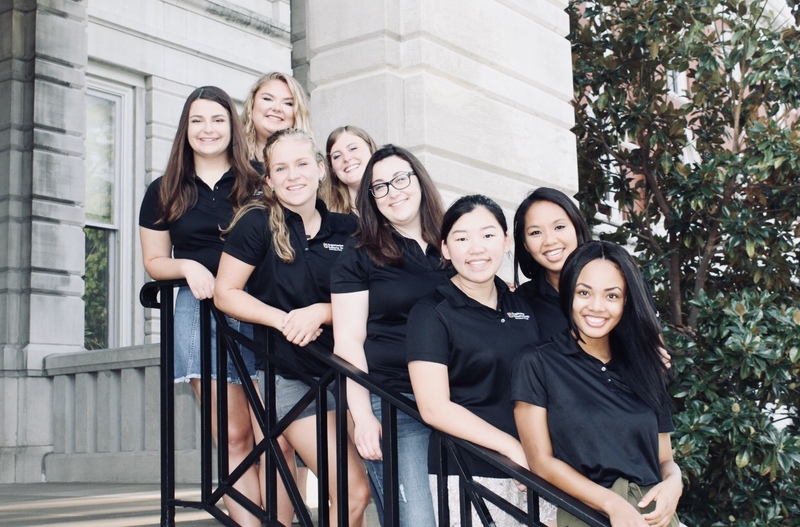 The ORG graduate assistant helps in many different activities; however, their primary focus is assisting groups with fundraising and group events. While ORG accepts and processes budget requests from student organizations, our staff does not make the funding decisions. Funds for student organizations are distributed by the Student Organization Allocation Committee (SOAC). SOAC is a group of student volunteers who meet several times each year to review and evaluate submitted budgets. ORG acts as a liaison between SOAC and student groups. Students who want to start a new organization submit an application to ORG, but recognition decisions are made by the Committee on Student Organizations, Governments and Activities (SOGA). They recommend approval or denial of University recognition for all prospective student organizations. All final decisions are made by the Vice Chancellor for Student Affairs.